Friends of Andre Hanekom believe the South African under arrest in Mozambique for ‘terrorism’ is being framed by business rivals in Mozambique, or scapegoated. Family and friends of South African businessman Andre Mayer Hanekom, imprisoned in Mozambique for alleged jihadist terrorist activity, believe he is being framed by business rivals, being scapegoated by the Mozambican government, or is the victim of mistaken identity. They are particularly concerned that the South African government appears to have accepted Maputo’s word that Hanekom is supporting and aiding a violent extremist Islamist group which has been terrorising northern Mozambique for about the last 15 months. On 31 December, Hanekom and two Tanzanians were arrested and were named by Mozambican authorities as allegedly being part of a jihadist group which has killed scores of people, including police and military personnel, but mainly civilians, in Mozambique’s northernmost province, Cabo Delgado. According to the news agency AFP, Hanekom and two Tanzanians face charges, including murder and inciting disobedience against the state. In the latest atrocity, on 6 January, the jihadist terrorists killed seven civilians and wounded another seven, in an attack on a civilian vehicle in Pundanhar, Palma district. According to a report from security consultants, the attackers raped six female passengers before killing them, and beheaded the male driver. It is not clear why Hanekom has been accused of complicity in the terror group. According to some media reports, he is being presented as the person in charge of logistics for the group. He and his wife Francis have been living in Cabo Delgado for 26 years, according to media reports. 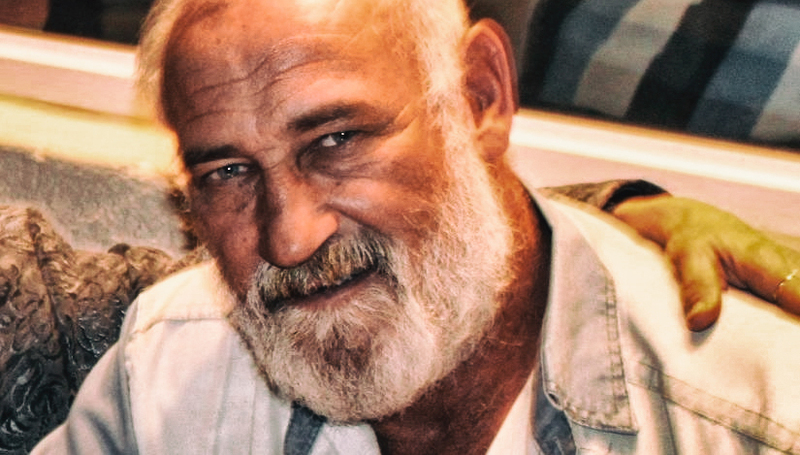 Security sources say Hanekom had been operating mainly as a professional hunter and an operator of charter boats, taking out tourists to fish at sea. He was shot and wounded by police seeking to arrest him in August 2018 and has been held in custody since then. His family have told media that they believe that the Mozambican authorities have not followed proper legal procedures in holding him. His wife Francis and daughter Andrie told South African media that they believe that “influential people” in Mozambique are misusing the police to frame Hanekom because they want his seashore property at Palma Marine, which they say is uniquely positioned in that area as an access route to the sea, including for offshore commercial gas resources. It is also possible, though, that Hanekom might have been arrested simply because of a genuine confusion of identity and misunderstanding about items found on his property during a police raid in 2018. One security sector source said Hanekom resembled a geologist who had been working in the bush near the scene of one of the jihadist attacks. He added that police suspicion had also evidently been aroused by some of the things found on his property. These included a small number of machetes in a container as well as about one kilogram of gunpowder, some emergency flares and a bow and arrow. However, the sources said machetes could be found at all businesses and residences in that area as these were needed to clear fast-growing vegetation in a near-tropical climate. They added that the gunpowder could be explained by the fact that Hanekom was a professional hunter who reloaded his own ammunition – “especially as there is not a dealer around the corner to buy ammo from”. And Hanekom had emergency flares because it was part of his business to go to sea in boats. This source said it was strange that while it was an offence in Mozambique not to have emergency flares on one’s vessels, it was apparently also illegal to have them in one’s possession on land. The bow and arrow found on his property was purely a curio, he said. This source said he had no way of knowing for sure if Hanekom was totally innocent of any nefarious activity. This acquaintance said Hanekom had frequently shot wild game for the local mayor to feed the local population and had driven Frelimo officials around when they visited the area. Jasmine Opperman, director at the Terrorism Research and Analysis Consortium in Pretoria, agreed that Hanekom did not fit the profile of a terrorist. She told the Citizen newspaper that what they had found on Hanekom’s property one would find on any farm in the area. She added that there was no indication of any international involvement in the northern Mozambican jihadist activity. Some of Hanekom’s acquaintances are concerned that South African International Relations and Co-operation Minister, Lindiwe Sisulu, “jumped the gun” by issuing a media statement on 1 January which suggested that she accepted Maputo’s claim that Hanekom was deeply involved in jihadist terrorism. She said she had received a report from the South African High Commissioner to Mozambique, Mandisi Mpahlwa, on the charges facing Hanekom, “related to his supporting and aiding an extreme jihadist group that is destabilising the northern part of Mozambique. These jihadists’ activities are also linked to the deaths of over 100 people in that area. “The Minister views the charges in a very serious light and has requested South African law enforcement agencies to also investigate the charges with the aim of ensuring that no South African citizen become involved in activities that destabilise other countries, in particular our good neighbour and friend. “The people of South Africa and Mozambique share a very deep political history and very strong economic relations. It is not acceptable that a South African citizen is in court for alleged involvement in extreme jihadists activities that resulted in a loss of life. South African citizens should spread love and peace across the SADC area, continent and the world,” Sisulu said.